Today FleetRates.com is 2750+ franchised dealerships strong, and offers over A Half Million new and used cars available for immediate nationwide delivery, at deeply discounted member pricing. Our website, which ranks in the top 65,000 in the U.S., offers car buying consumers a convenient way to research, build and compare new cars and trucks at the best available pricing in the nation. We are an online mega-dealer with daily inventory feeds uploaded from dealerships nationwide. Future car buyers are welcome to browse our online inventory consisting of over A Half Million new and used cars that are widely recognize to be among the best in quality, reliability and value, including: Mercedes-Benz, Land Rover, BMW, Porsche, Bentley, Ferrari, Rolls Royce, Toyota, Exotics, and more. Our clients have high expectations for their vehicles, and equally high expectations about the dealership professionals who serve them. Our staff of trained certified sales consultants are on standby to provide quick and easy low prices and lease quotes on the exact car trims and options our customers are looking for. We continuously patrol the marketplace, uncovering all of the hidden dealer cash, rebates, and up-to-date incentives, thus allowing us to list our inventory competitively and save our customers thousands of dollars on the world's best cars. We utilize the world's best software and use wholesale money factors and finance rates from all lenders, including manufacturers programs, guaranteeing you the very best deal on the planet. Be the next person to save big, and get the best price and best lease terms on your next new or pre-owned luxury vehicle at FleetRates.com. 1. Browse our website, click New Vehicles, and select a vehicle make to be directed to our New Car Listings. 2. Choose the model, equipment options, and colors desired or simply reply to one of our online specials. 3. Fill out the online form and press the submit button or call our toll free number. Requests are routed to our accredited FleetRates.com Certified Internet Sales consultants who have been trained to provide online consumers with courteous, quick service, usually within an hour of receiving your inquiry, and a low, competitive, haggle-free price. We deal directly with large volume franchised FleetRates.com Certified Dealerships offering Special Member Discounts. We have the inside track on All the "Hidden Dealer Cash" including Factory Incentives, Rebates, Marketing Support Programs, Special Finance and Lease Programs and pass on the Savings to You. Deal with experienced FleetRates.com Certified Trained Professional Consultants that are here to meet your needs and answer all of your technical questions. Get pre-qualified and FleetRates.com approved with a FREE credit check guaranteeing you the lowest possible Prices and Lease payments. FleetRates.com quotes payments for all of your bank and manufacturer new Car, Boat & RV programs in seconds! Comprehensive, timely, and accurate data is updated daily. FleetRates.com lets you compare up-to-the-minute rates and residuals for all national and regional programs, including one-pay plans and balloons. FleetRates.com Certified Lease Programs and discount auto leases are so comprehensive, they let you compare all terms, mileage, and lease programs in a flash. Data is maintained from one centralized location, ensuring we are able to deliver the most accurate, up-to-date rates possible. FleetRates.com uses the only totally interactive lease quoting service, utilizing the full capabilities of the worldwide web. Our site operates in real-time 24/7. Data is updated daily, which affords you immediate flexibility and an around-the-clock competitive edge. FleetRates.com will calculate the most competitive monthly lease payment for you. We will offer you every conceivable lease scenario Period. You are never alone. Our leasing experts are just a phone call away to answer all of your questions and provide technical support. Compare all of the terms and mileage programs. Pinpoint the precise deal that best meets your needs.FleetRates.com, America's Source for Lexus, BMW, Mercedes Benz, Porsche, Rolls-Royce, Land Rover, Exotics and more. Low Online Fleet Prices - Excellent Lease Terms - Low Finance Rates- Nationwide Delivery. Keep your fingers on the pulse of the automotive industry, and what FleetRates.com is doing to change the online automotive marketplace, by becoming a FleetRates.com fan on Facebook, or by following us on twitter! Every listing to hit our database is automatically fed to our Facebook fan page, making it easy to stay on top of the hottest car buying opportunities on the market today. Additionally, follow @fleetratescom on twitter for 24/7 inventory updates, breaking news, deals and discounts. Follow us, tweet us, retweet us to all your friends and stay connected! 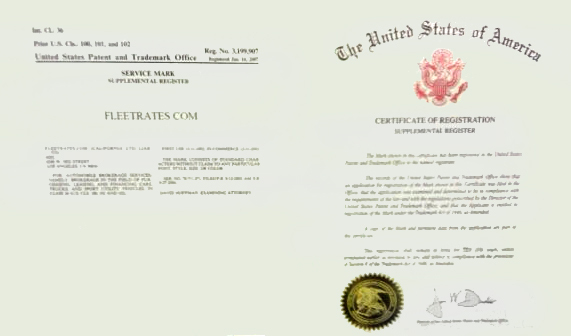 FleetRates.com is proud to announce that we are fully patented and trademarked with the United States Patent Office in order to protect our trade mark rights and it's loyal members. The Senior Management team at FleetRates.com truly appreciates the company’s achievements and values the long-term relationships that we have forged with nation’s largest volume dealerships. These relationships have been a major factor in the rapid growth of FleetRates.com. We serve our online consumers with locations on the East and West coasts. We feel our dual locations enable us to not only corner the market in online automotive marketing but also provide a level of service never before offered to the nation’s online retail automotive consumers. As a market leader in luxury brand automotive marketing, FleetRates.com will continue to offer our members the lowest online fleet pricing available on the nation’s top luxury car brands including, Lexus, Mercedes-Benz, BMW, Porsche, Jaguar, Rolls-Royce, Bentley, and more as well as protecting our loyal customers with it's Federal Trade Mark and United States Patent. Remember there is only one official FleetRates.com site that not only offers the lowest prices and lease payments nationwide on the world’s best luxury cars but also the largest group of certified FleetRates.com dealers. Only on FleetRates.com will you find low fleet prices and discount auto leases on all 2015, 2016, 2017 New Cars. Lexus, Mercedes Benz, BMW, Land Rover, Porsche, Acura, Cadillac, Hummer, Infiniti, Toyota, Audi, Maserati, Rolls Royce, Bentley, Aston Martin, Ferrari, Lamborghini, Jaguar, Nissan, Saab , Volvo & more. FleetRates.com is a new and innovative way of buying or leasing your new 2018 vehicle. Our factory authorized dealer network honors our low member prices and lease payments we set online. We help thousands of consumers get quick and easy low prices and lease terms on the exact new car they are looking to buy or lease. We have FleetRates.com certified fleet managers at some of the highest volume dealerships nationwide, allowing us to save our customers thousands of dollars. Our staff constantly researches the market place for the most up-to-date and competitive vehicle pricing available. We offer all makes at low prices and special lease terms including the Lexus, Mercedes Benz, BMW, Land Rover, Porsche, Acura, Cadillac, Hummer, Infiniti, Toyota, Audi, Maserati, Rolls Royce, Bentley, Aston Martin, Ferrari, Lamborghini, Jaguar, Nissan, Saab , Volvo & more. All vehicles are available in all colors with your choice of available options. Nationwide Delivery is available on all cars. Be the next person to save big, and get the best price on your new 2018 vehicle via the Internet at FleetRates.com. It's as easy as 1, 2, 3. We deal directly with large volume franchised dealerships offering special FleetRates.com member discounts. We have the Inside track on all the "hidden dealer cash" including factory incentives, rebates, marketing support programs, special finance and lease programs and pass the savings on to you. Become a FleetRates.com Member now and save thousands on your new 2018 car.